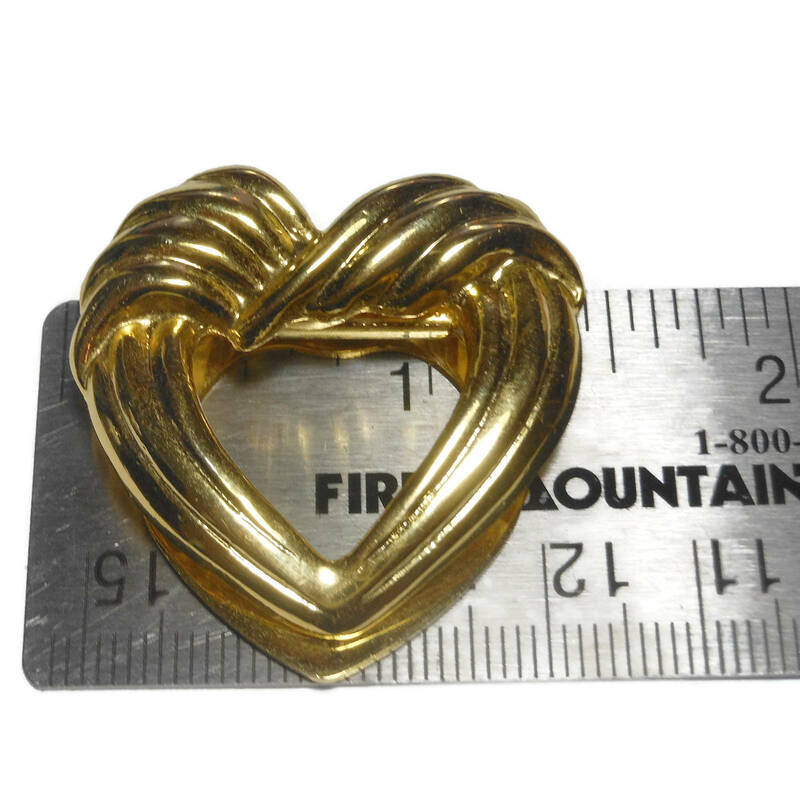 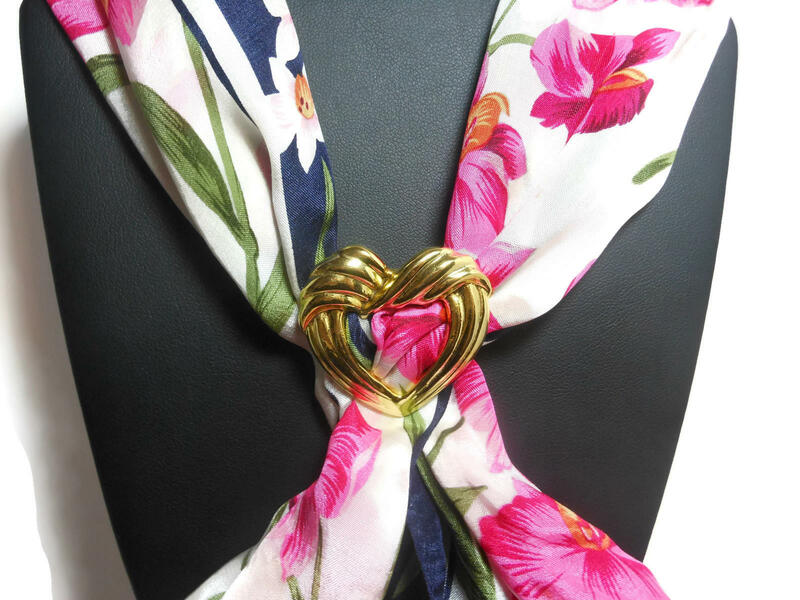 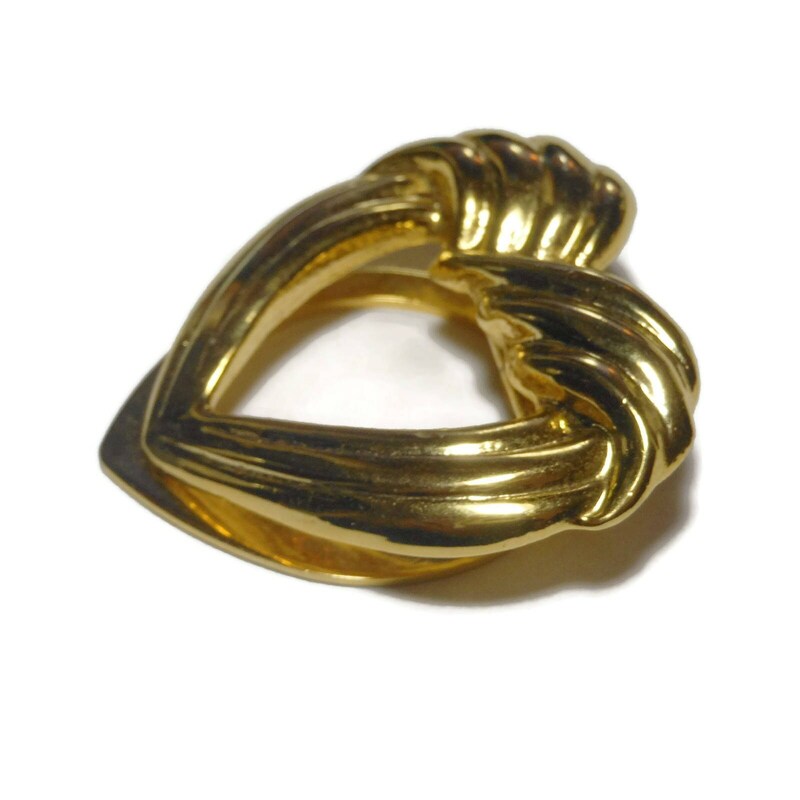 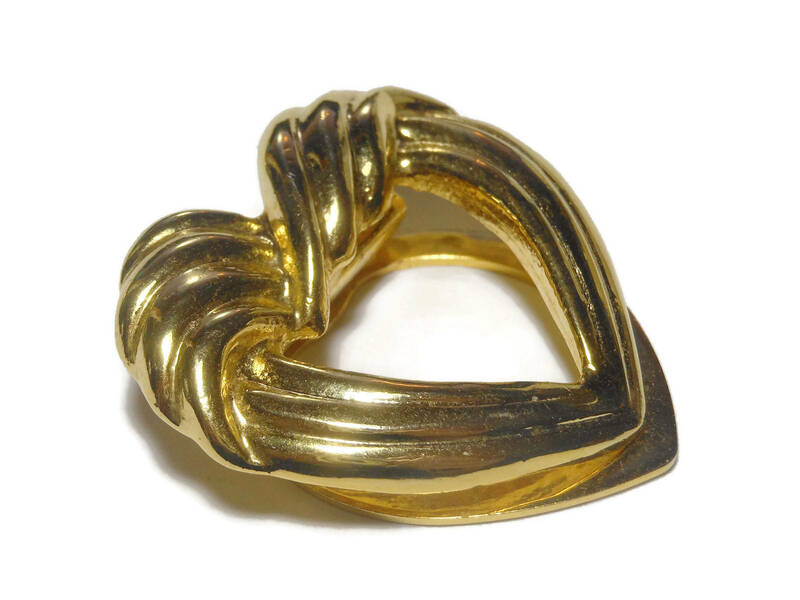 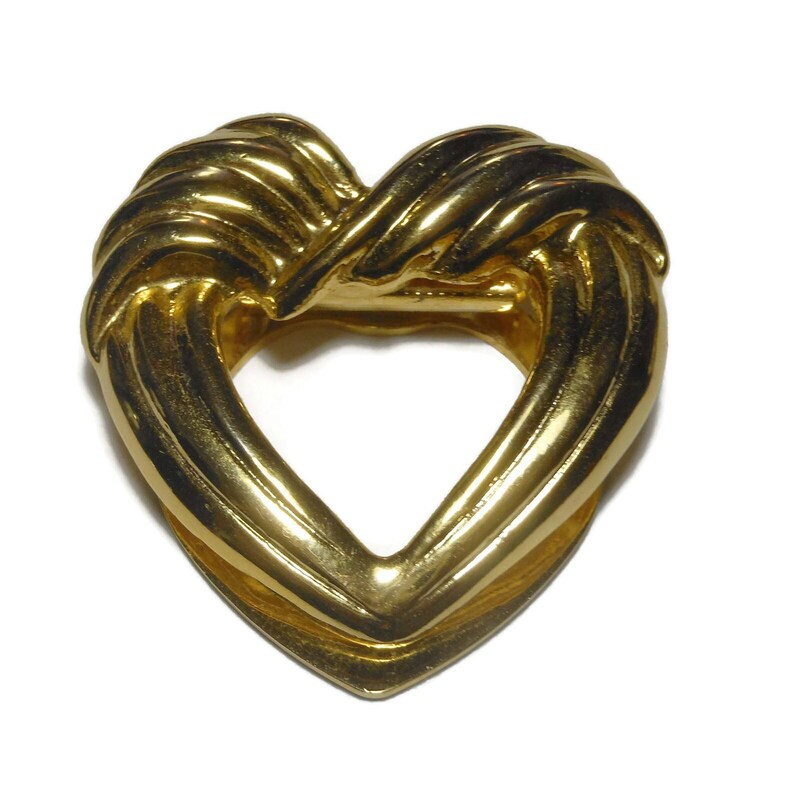 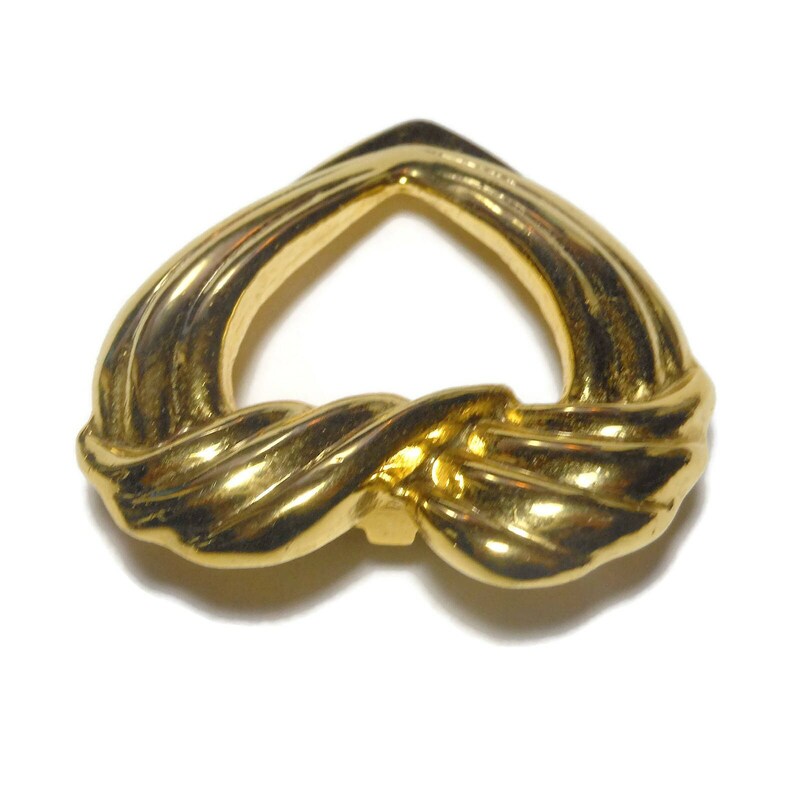 Gold heart scarf clip ring, gold tone ridges, heart shaped scarf slide, sweater clip. 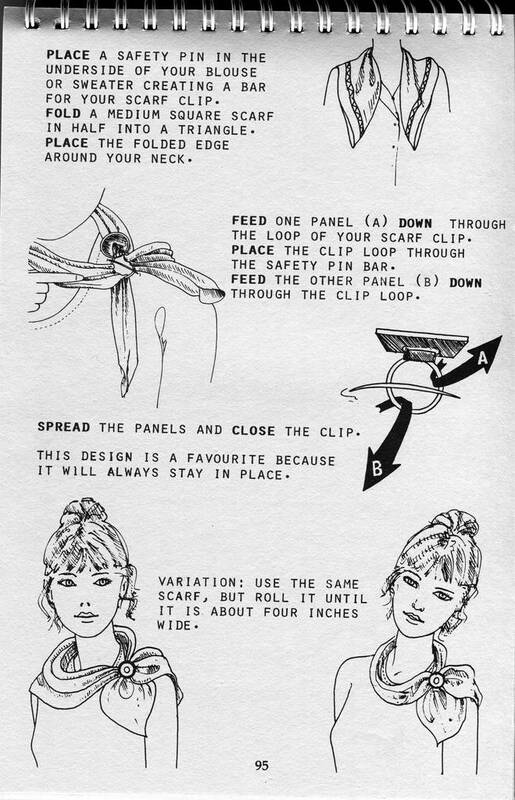 Take control of your scarf! 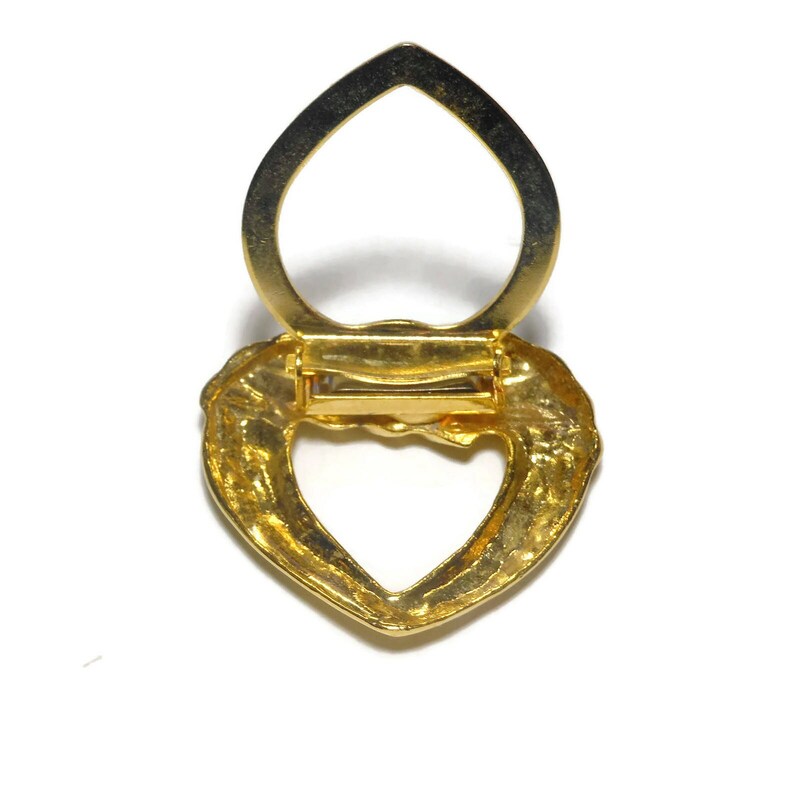 Measuring 1 1/2" (3.8 cm) X 1 1/4 (3.2 cm) it is in very good vintage condition with some light scratching, not noticeable unless very close.